When Should I Create My Book Promotion Plan? Put together a document for yourself that includes goals that you have for your book and a realistic timeline to achieve your goals; then write your action plan for how you intend to execute your book promotion plan. Ideally, you are considering this very early in the process, and making connections with librarians, bloggers, other authors in your genre, etc. while you are writing your book. If not, start now! A business plan should be in place four to six months prior to the time you want to release your book into the world. This is the time to check out book promotion firms and see what they have to offer and whom you think you can work with best. When Should I Implement My Book Promotion Campaign? Advance reader copies (ARCs) or galleys need time to be printed and sent. ARCs are uncorrected proofs of your book that may be sent out months ahead of your official launch to get industry trade publication reviews, to obtain blurbs from influencers or other authors and to create buzz. These “uncorrected proofs” should be printed no less than 3 months prior to your release date. And any advance attention you receive and blurbs returned to you can be incorporated into your future book marketing. Your publicist will develop your electronic press kit or media materials and your media list and event “wish” list a few months before your release date so that the media has time to read your book, write a review, and schedule reviews and events around your release. What is the Advantage to Starting Early? Just like opening a restaurant on Main Street or introducing a new tube of toothpaste on the shelves of big stores, starting promotion early provides reviews and “buzz” for your book right when it’s new and fresh, and “on the shelf” – online or in bookstores. It will never be “new” again, which is an advantage itself. You will be promoting your heart out for a very long time, if you want to be successful. But, there are certain things, like particular book reviews, that can only happen if the reviewers know about it before your release date. And, your release date is not a day when the clouds open and the angels sing . . . it’s a day that you choose to target so that your book has it’s own “coming out party”. Nothing makes me sadder than to get an email or call from an author who says, “My book is published! I need help promoting it!” It’s like it’s an afterthought and there are many doors that are shut even the day after the book comes out. Book marekting shouldn't be an afterthought; it should be a considered game plan for your book's success. If a tree falls in the woods but no one is there to hear it, did it make a noise? If you publish a book, but no one knows about it, will it be read? On average, more than 2,000 books are released every day in the US. You need to be thinking ahead to make your book stand out. Don’t leave it to fate or the “last minute.” Authors are surprised at how fun it is to work on book promotion, so get excited and look forward with gusto! You've written a book and it's time to tell people about it, the right way. 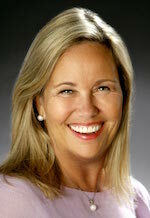 Julie is a public relations expert for JKS Communications with 30 years experience. She specializes in developing winning book publicity campaigns for authors and publishers. Her hallmark is creative campaigns that fit the lifestyle of the author.